TN Exams Latest Result Notification:- Everyone who had successfully given SSLC 1OTH Class Exam. 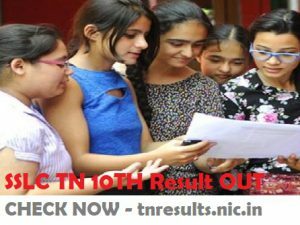 Now, all Tamil nadu state result seekers are searching for TN 10TH Board exam result detail to get appear. In this year 2019 4, 74,340 boys and 4, 76,057 girls appeared for the 10th TN examinations 2019 . 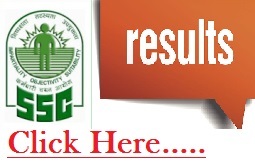 As, The Tamil Nadu Directorate of Government Examinations declared TN Result on 23 May (9:30 AM) notification in thier official website ( tnresults.nic.in and dge1.tn.nic.in) to show qualified candidates to be appear in SSLC Exam. Below we mentioned TN Result Link from where you can check your Marks . The Directorate of Government Examinations (DGE) Tamil Nadu recently announced Tamil Nadu 10th Class Result in respective region. In this year passing percentage is 94.5 %. The girls have outperformed boys by securing 96.4% To check result candidates need to open result link and then enter registration number and Date of birth to get their marks detail. Below we mentioned all current running TN results detail and directly check result link. Below we mentioned all Latest & upcoming sslc exams results that are releasing in official websites at TNRESULTS.NIC.IN . We will share every detail in this page related to any sslc exams like, Results, passing percentage & every updates.